Attendize can be used with many different payment gateways. It supports Stripe and Paypal out the box. Attendize uses Omnipay for payment processing which is a open source payment processing framework. This list of supported payment gateways shows which payment gateways are supported with Omnipay v2 and Omnipay v3. The latest versions of Attendize uses Omnipay v3 and the Laravel 5.2 branch uses Omnipay v2. 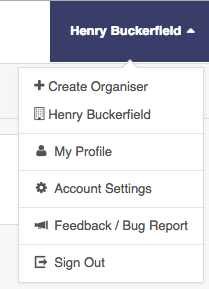 To configure the payment gateway details for your installation once logged in click on the Organiser name in the top right and select Account Settings. Select the payment gateway you wish to use from the drop down and enter the setting for that particular gateway. 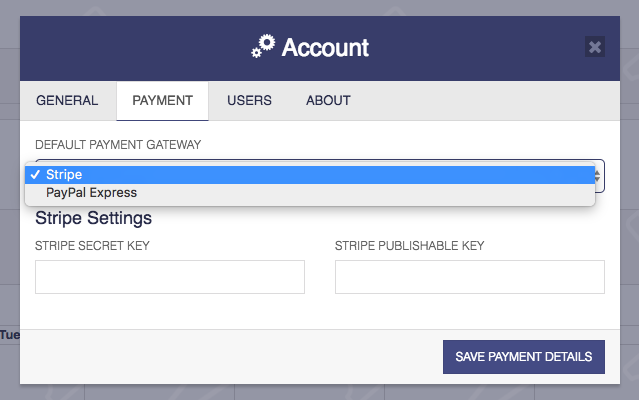 A full comprehensive guide on using a new default payment gateway will be added soon. To use a non standard payment gateway you will need to install the specific Ominpay module for your payment gateway using composer. This list of supported payment gateways Additionally some slight modifications will need to be made to the code to use the payment gateway. For an example of modifying the code see the dummy payment gateway implementation as an implementation example.